We begin the new year with an extended look at the parables of Jesus which should get us to Lent. After having read through the entire Bible in 2018, we thought a look at application might be a good place to begin the new year. Another small change will be that we will only be blogging Monday to Friday. 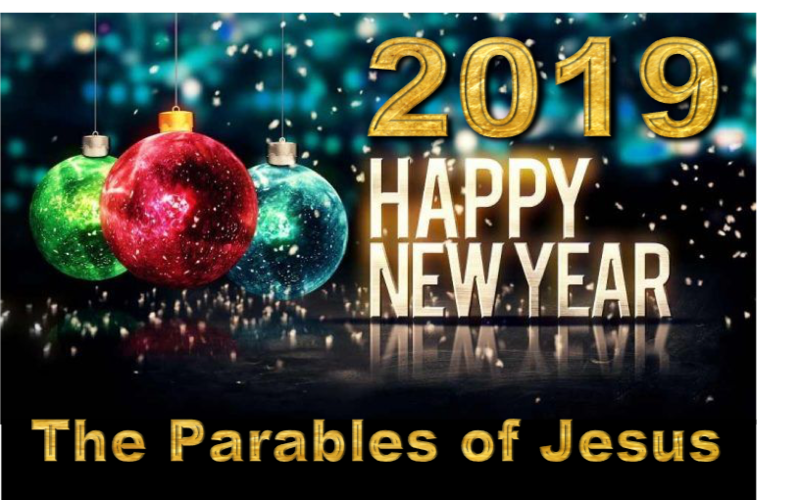 Let’s start with a basic understanding of parables which are stories, especially those of Jesus, told to provide a vision of life, especially life in God’s kingdom. Parable means a putting alongside for purposes of comparison and new understanding. Parables utilize pictures such as metaphors or similes and frequently extend them into a brief story to make a point or disclosure. Nevertheless, a parable is not synonymous with an allegory. The difference between a parable and an allegory is in the number of comparisons. A parable may convey other images and implications, but it has only one main point established by a basic comparison while an allegory makes many comparisons through a kind of coded message. This parable shows a contrast between the action of the one who sows…simply scattering seed here and there to the imagery of the harvest. Did you catch the subtlety of this parable? Did you see that the grain grows whether the one who sowed is is asleep or awake…and, more importantly, the sower doesn’t know how it happens. What might the point in this parable be? There is an ancient Jewish prayer that says…”Blessed are you O God, king of the world, who brings forth bread from the earth”. This prayer reflects the basic attitude of wonder over the growth of crops that lies behind this parable. Jesus’ point is that the kingdom of God begins with the apparently insignificant action of “sowing” the message, but will finish as a great harvest. God, who gives the grain harvest, will also give a great result to the present ministry of Jesus and his disciples. Growth because of God’s initiative. Devotional Thought: Stay focused on the promised great harvest through God’s initiative – the great harvest yet to come. Don’t let bad soil or weeds get in your way or discourage you in your journey of faithful service and witness to Jesus!! A good way to begin our new year! !